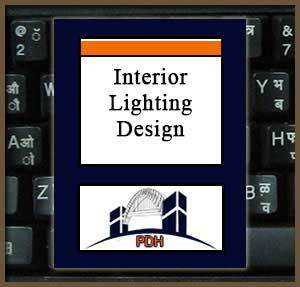 This course will introduce you to principles of lighting design for building interiors. The concepts and considerations of visibility, glare, uniformity and illuminance will be explained and discussed. You will learn about lighting controls and their importance in operation of lighting systems and energy conservation. You will learn about recommended applications for a wide variety of luminaires and lamps. Application of these principles and equipment will be illustrated with recommendations and guidelines for the various spaces in the most common commercial building type, office buildings. Learn how visibility describes size, brightness, and contrast of a particular activity and affects the lighting required to view that activity. Learn about way-finding and the role of lighting in providing visual guidance, signage illumination, and more subtle aids such as continuity and hierarchy of lighting equipment that reinforces areas of similar use. Learn how the effective use of indirect light minimizes the negative effects of direct glare. Learn how direct glare can be minimized with careful equipment selection and placement, and by indirectly lighting interior walls and ceiling. Learn about illuminance and appropriate lighting levels for different surfaces and tasks. Learn the importance of lighting level and illuminance uniformity where sustained tasks are performed, and how to prevent “spotty” lighting, especially in interior areas where people are working and exterior areas where safety and security are concerns. Learn about the three different types of visual responses: photopic, scotopic and mesopic. Learn about lumen effectiveness multipliers that can be used to account for the improved visibility provided by white light compared, for example, to high pressure sodium lighting. Learn about luminaire, lamp and lighting control recommendations for individual and open offices. Learn about luminaire, lamp and lighting control recommendations for other office building spaces such as conference rooms, lobbies and corridors. pretty good introduction item - perhaps with lighting products including LEDs gaining more popularity , the narrative and the UFC references should be updated to include LEDs ?